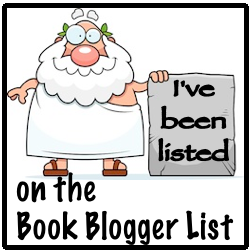 Today I have a review of the cozy mystery In the Stars by Zanna Mackenzie. This is the first book in the Amber Reed mystery series. Battling to convince the scarily handsome special agent assigned to solve the case that she can help him catch the killer, Amber’s fighting something far more dangerous than she could ever have imagined - and it has nothing to do with the equally scary chemistry fizzing between her and special agent Charlie Huxton! Has Amber’s wish for more excitement in her life landed her in big trouble - or is her fate written in the stars? In the Stars is the first book in the fun, romantic Amber Reed mystery series. Being a freelance writer and editor of business publications is her ‘day job’ but, at every opportunity, she can be found scribbling down notes on scenes for whatever novel she's working on. She loves it when the characters in her novels take on minds of their own and start deviating from the original plot. She enjoys walking the dogs, gardening, and reading. This was a cute and fun cozy mystery that featured a pretty solid mystery that will keep you guessing until the very end. I really enjoyed all the action and adventure our main character, Amber, gets into, considering she typically finds herself writing the local newspaper's horoscopes. She is however a kind of quirky, mixed bag character that I'm sure many people will really like, while others like me can find her slightly annoying. I also didn't quite buy into the insta-love between Amber and Charlie, the special agent hired to investigate the death. Fortunately, he was a much more grounded and relatable character, and together, their chemistry, brought a lot of levity and lightheartedness to an otherwise stressful situation. Their shenanigans while on the case allow them to get to know each other better, which helps to develop into a more dynamic and believable relationship that will definitely be interesting to read about as the series continues should they decide to commit to each other. Overall, this was a very fast-paced and entertaining read that sets a great start for a promising series that I would like to continue. I wasn't a fan of how abruptly the story seemed to conclude nor the cliffhanger ending, but that's much more a personal issue rather than a negative reflection of the book. Definitely recommended for those that enjoy romantic comedies! Instead of a giveaway, Zanna is graciously giving away a copy of On Trial, the next book in the Amber Reed mystery series. Can Amber keep calm, keep her head and manage to solve the mystery? Will she get her dream job with the agency? Helped and hindered by fellow trainee Esme and gruff but gorgeous Mitch, Amber’s certainly got her work cut out – and then her special agent boyfriend Charlie turns up to confuse things even further. Join Amber as she attempts to rescue a celebrity wedding day from the brink of disaster! Visit her website HERE to download your copy today! 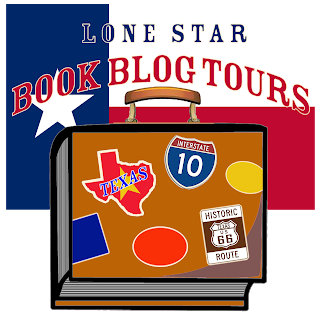 Be sure to also check out the tour page where you can find links to other blogs on the tour! 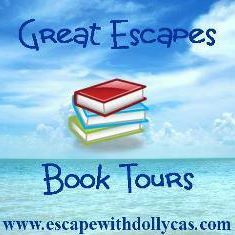 Many thanks to Zanna Mackenzie and Great Escapes Book Tours. It was a pleasure providing a review!